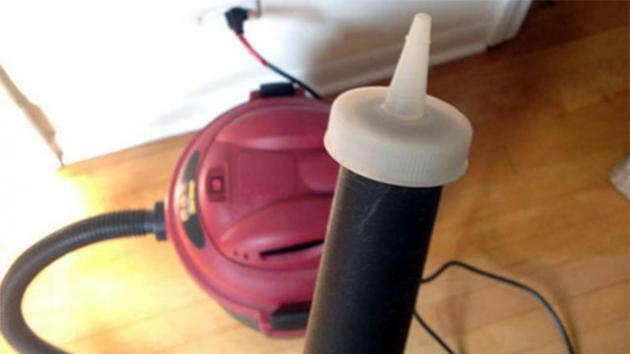 Most vacuums come several attachments for different purposes, but these attachments are usually too large to clean out tight spaces like your keyboard or parts of your computer. But instead of buying a specialized tool just for cleaning your desktop or laptop, Tumblr user mintfish recommends using a ketchup squeeze bottle top. The pointy end of the nozzle is perfect for maneuvering around nooks and crannies like the space between your keyboard. If your vacuum tube is a little smaller than the nozzle, try sealing it using duct tape. As long as the top is adhered, this should work out fine.